Today’s decision by the Supreme Court to grant permission for an appeal against last summer’s Court of Appeal judgment affecting care workers on sleep-in shifts is extremely good news, says UNISON. 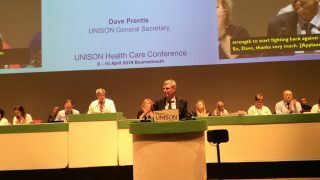 The UNISON-backed case – taken on behalf of care worker Clare Tomlinson-Blake – argues that sleep-in shifts should count as working time and be paid at least hourly minimum wage rates. – The case taken by UNISON on behalf of Clare Tomlinson-Blake was successful at both employment tribunal (2016) and employment appeal tribunal (2017). But last July the Court of Appeal found in favour of the Royal Mencap Society. UNISON has now been given permission to appeal to the Supreme Court. 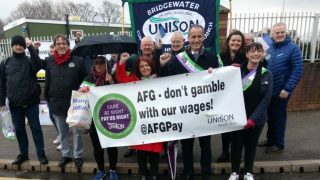 – Over 600 care support workers in the North West, employed by the Alternative Futures Group (AFG), have recently voted to take strike action over cuts to their pay for sleep-in shifts. They are facing a significant reduction in their wages and stand to lose as much as £15 for each sleep-in shift and more than £2,000 a year.